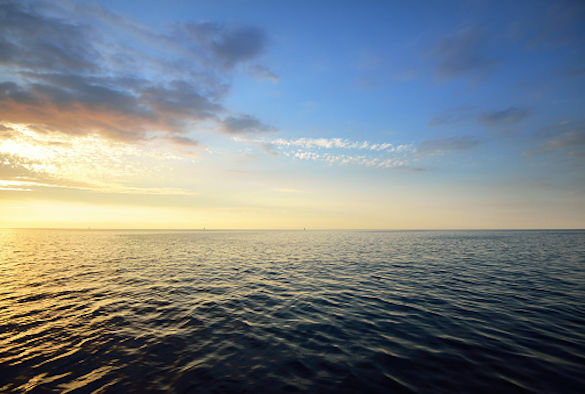 A new international study involving Liverpool ocean scientists has found that the Atlantic meridional overturning circulation (MOC), a deep-ocean process that plays a key role in regulating Earth’s climate, is primarily driven by cooling waters west of Europe. In a departure from the prevailing scientific view, the study published in the journal Science, shows that most of the overturning and variability is occurring not in the Labrador Sea off Canada, as past modeling studies have suggested, but in regions between Greenland and Scotland. There, warm, salty, shallow waters carried northward from the tropics by currents and wind, sink and convert into colder, fresher, deep waters moving southward through the Irminger and Iceland basins. The study, which involved 16 research institutions from seven countries, found that overturning variability in this eastern section of the ocean was seven times greater than in the Labrador Sea, and it accounted for 88 percent of the total variance documented across the entire North Atlantic over the 21-month study period. Penny Holliday from the National Oceanography Center said: “Overturning carries vast amounts of anthropogenic carbon deep into the ocean, helping to slow global warming. The largest reservoir of this anthropogenic carbon is in the North Atlantic. The paper `A Sea Change in Our View of Overturning – First Results from the Overturning in the Subpolar North Atlantic Program’ contains data collected over a 21-month period from August 2014 to April 2016. It is the first from the $32 million, five-year initial phase of the OSNAP (Overturning in the Subpolar North Atlantic Program) research project, in which scientists have deployed moored instruments and sub-surface floats across the North Atlantic to measure the ocean’s overturning circulation and shed light on the factors that cause it to vary. Professor Williams is the University's PI for the UK OSNAP programme.